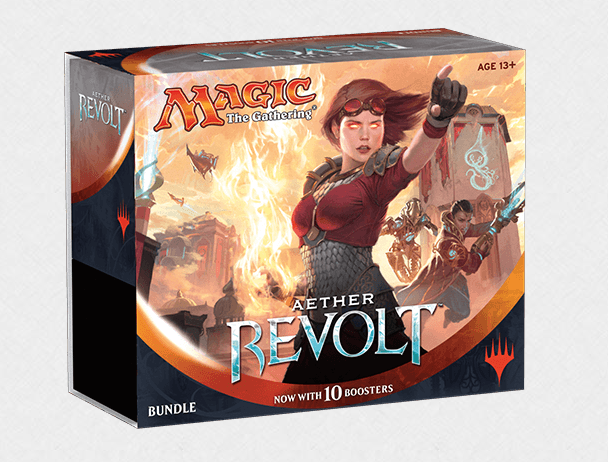 Join us this weekend for the LAUNCH of the latest Magic : The Gathering Set, AETHER REVOLT! Place your order now, pick up as early as Friday at noon. 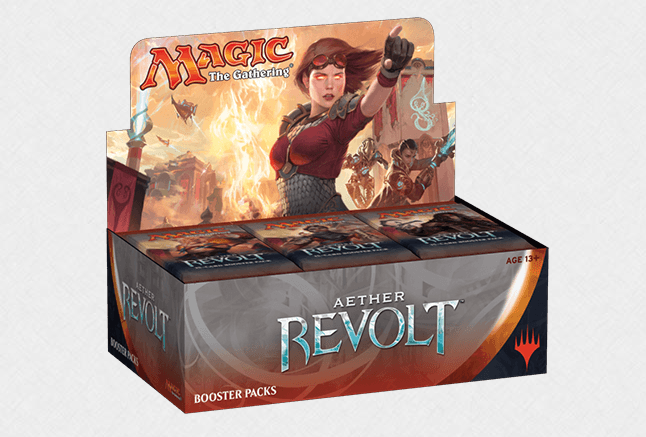 Comes with 10 Booster Packs, 80ct. 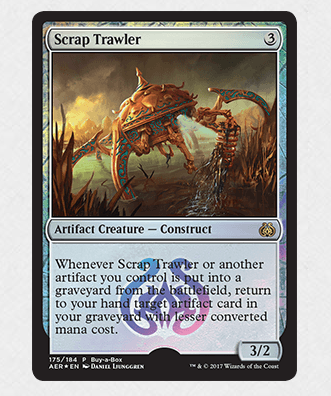 Basic Land Brick, Spindown Die, and a sweet full art storage box. 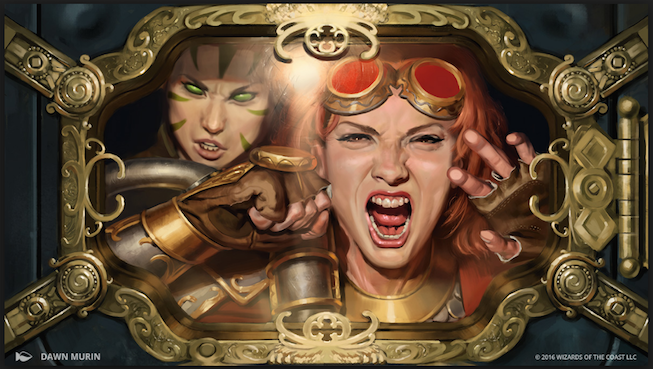 Open 6 Booster Packs and build a 40-card limited deck. Pairings will be swiss, 3 rounds. 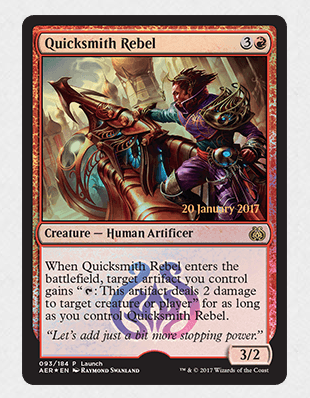 All participants will get Quicksmith Promo Card. (*same day only) More Details on our Event Calendar.